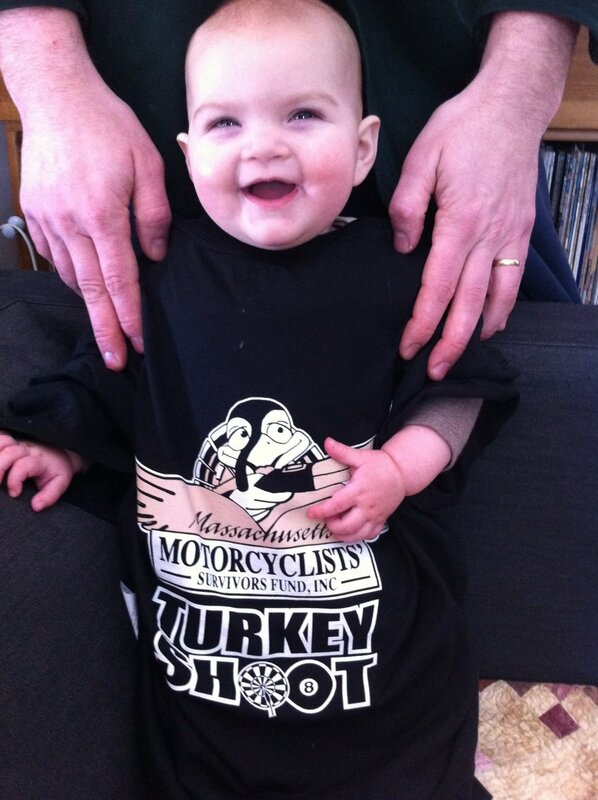 From the sold stubs from the 50/50 raffle tickets sold so far January’s winner was Sam G. of Gloucester who selected two MMSF “Turkey Shoot” T-Shirts, and had her daughter Franny try them out! Her winning stub goes back into the pool for future monthly drawings and the Grand Prize (to be drawn at Nelson’s Ride on August 18th, 2013! You can win your choice of MMSF gear in the monthly drawing, or the Grand Prize! Last year’s Grand Prize winner won over $4,000, so get your tickets now for just $5/apiece. This entry was posted in Raffle, Supporters and tagged 50/50, nelson's ride, raffle, turkey shoot, winners on February 12, 2013 by mmsf.